Fall is in the air, which means there is no better time to bust out your best plaid. I've written about why plaid shirts are a wardrobe staple and you've see how I style my favorite plaid blouse, now it's time to take a look at ladies who play with plaid patterns in eye-catching ways. Tied around the waist in an ode to grunge or perfectly preppy in the form of a blazer or scarf, plaid is on the prowl. This fall I'm especially loving mixed plaids, which create uniquely harmonious pattern on pattern looks. It is great how ladylike and cute these outfits are, love it! 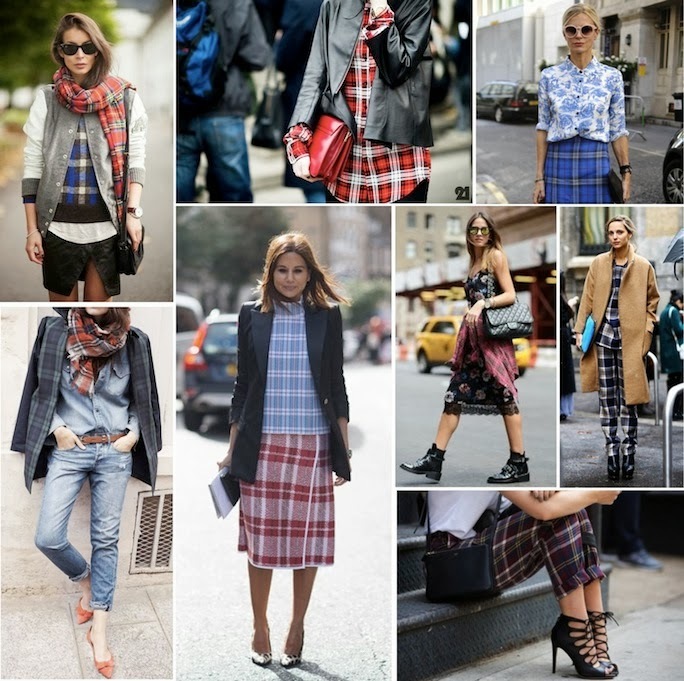 These are all cool plaid looks Chelsea.....love them!! !